Switzerland, small and landlocked in the middle of Europe with the Alps on the southern border, is a beautiful country with a postcard-like ambiance across most of its land. For us, given our interest in nature, hiking, mountains, trains and more, we wanted to give it a shot. Since we were already across the pond, plane tickets were cheap. Through a handy-dandy guide book, we found a lady who rents part of her cabin (sectioned off much like an apartment or B&B room) for less than most hotel rooms you would find driving across the U.S. Put all of that together and you have a room with a view like this…. 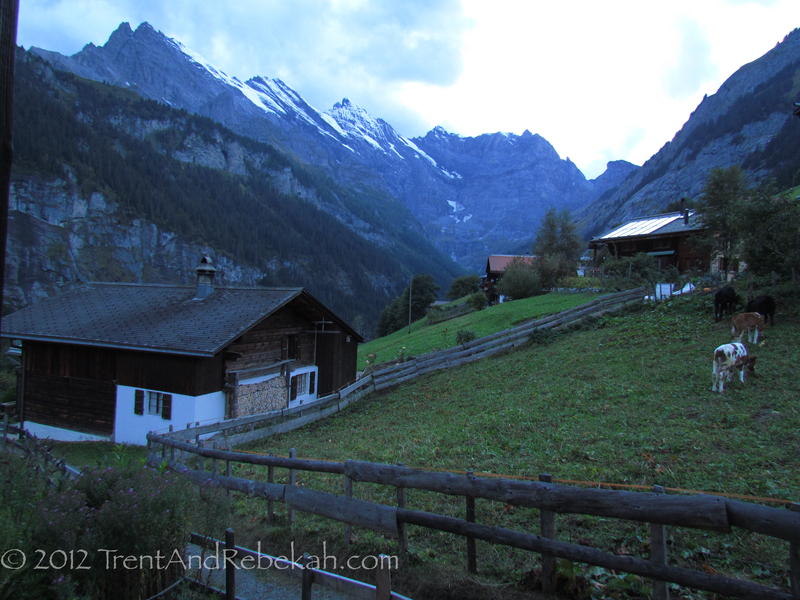 This is a view from our cabin in the little town of Gimmelwald. The Google map link below will give you an idea about where this is in the southern central part of the country. If you are a Google Earth user, search for this town name in Switzerland and tilt the view to see the elevation, and you will get a good idea of the mountain terrain in this area. 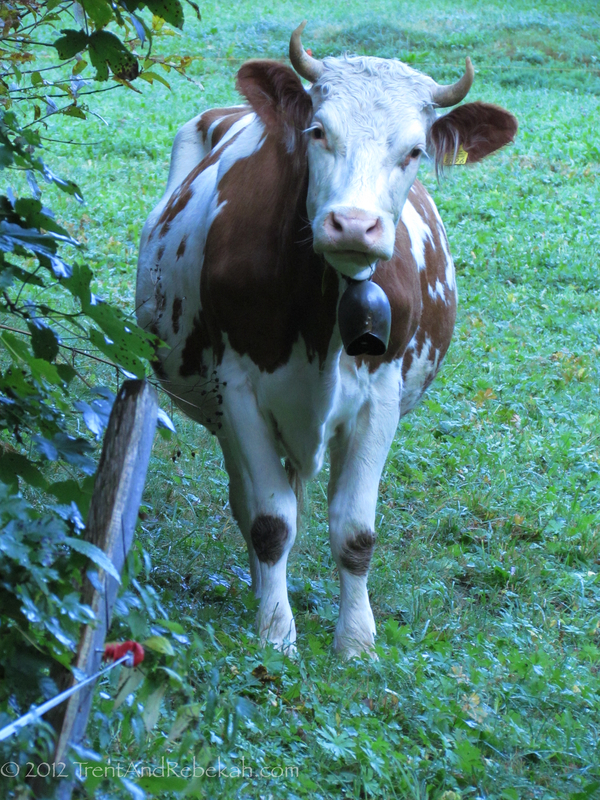 So a little about Switzerland. Historically, the land area of Switzerland has Greek and Roman history just as many other European and near-east countries. Although you don’t typically think of Rome when thinking about Switzerland, you do have Roman archaeological sites in the country, such as Augusta Raurica in the north central part of the country and Avenches, located close to Bern, in the central part of the country. The 12 and 13th centuries saw the rise of the “Old Swiss Confederacy” (the common CH abbreviation you now see for Switzerland, which is Confoederatio Helvetica, Latin for “Swiss Confederation”). This era brought many of the communities of the central Alps together. This union allowed the Swiss to fight against other European powers, such as the Habsburg Empire, and win some notable victories, which established some level of Swiss independence in the region. However, due to some internal weaknesses and the power of the French in the Napoleonic era, the Swiss did fall under French rule for a short time. That French rule ended toward the beginning of the 19th century, with the Swiss reestablishing independence and also beginning the long road of Swiss neutrality, which is still in existence today. The attitude of neutrality even precipitates down to their animals. Walk along the quite mountain trails between the villages and try to pet the goats, cows, sheep, dogs, and cats along the way. You will find they accept the petting, but very nonchalantly, and may walk away at any time and stare at you indignantly, as the cow below did to us. Hey, it’s Switzerland. Just up from the village we were residing in is the peak of the Schilthorn. This peak is notable for a revolving restaurant perched at the top (@ 9,744 ft.). The restaurant and the associated viewing platforms offer spectacular views of the Eiger, Mӧnch, and Jungfrau peaks across the valley. These peaks are commonly noted as “Top of Europe,” which is served by the highest running cog-wheel train in Europe. 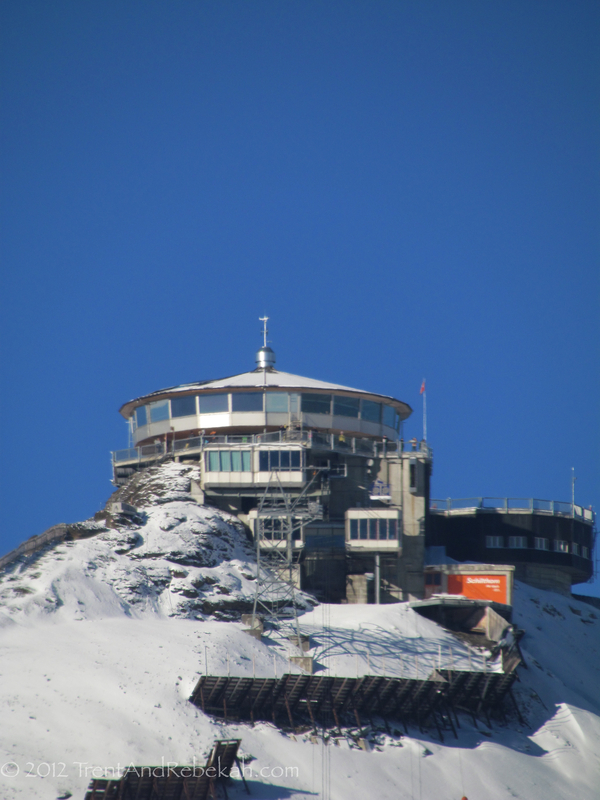 Also, the restaurant at the top of the Schilthorn is one of the main settings for the film, “On Her Majesty’s Secret Service,” a James Bond 007 movie from the late 60s. They blew it up in the movie, but, luckily, it is actually still there and serving a delicious “007 Breakfast Buffet” at 10,000 feet. 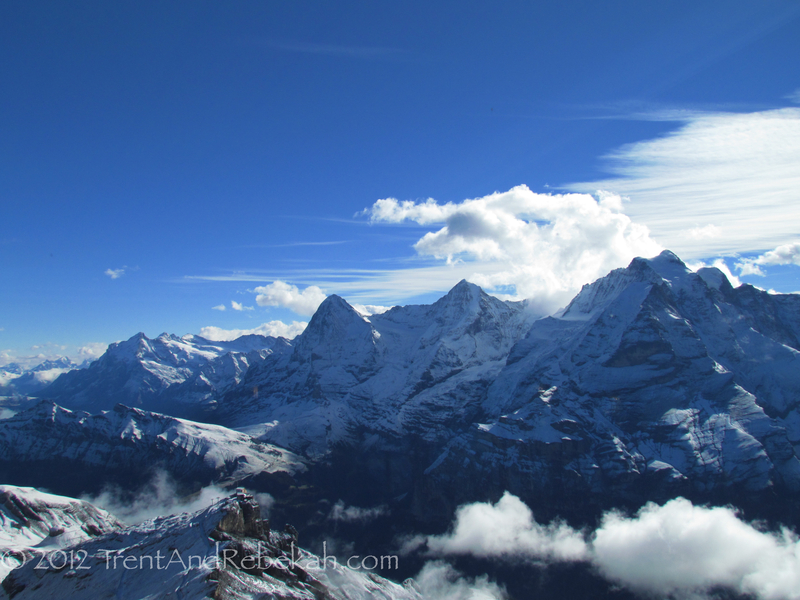 Over the next day or two, we’ll dedicate a few other posts to some Roman ruins we visited and the peak of the Jungfrau. This entry was posted on October 3, 2012 at 11:44 am and is filed under Nature, Whimsy, World History. You can follow any responses to this entry through the RSS 2.0 feed. You can leave a response, or trackback from your own site. I recognized the restaurant right away. Good thing they didn’t really blow it up.